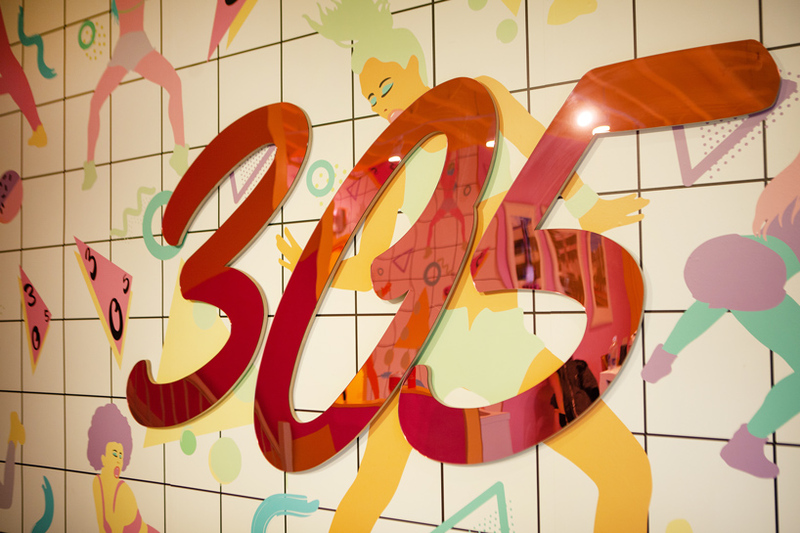 sasha bikoff presents the interior design of the third ​((305)) fitness studio opening in new york city. bikoff was selected​ by sadie kurzban, founder of the dance cardio studio with a cult-like following, following the debut of the designer’s elaborate staircase at the ​2018 kips bay decorator show house. 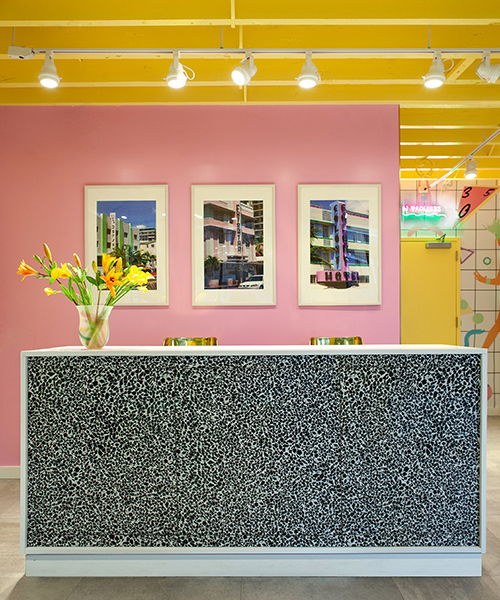 bikoff and kurzban worked together to transform the new boutique fitness space into a colorful design moment with aesthetic influences by ​miami vice and memphis milano. 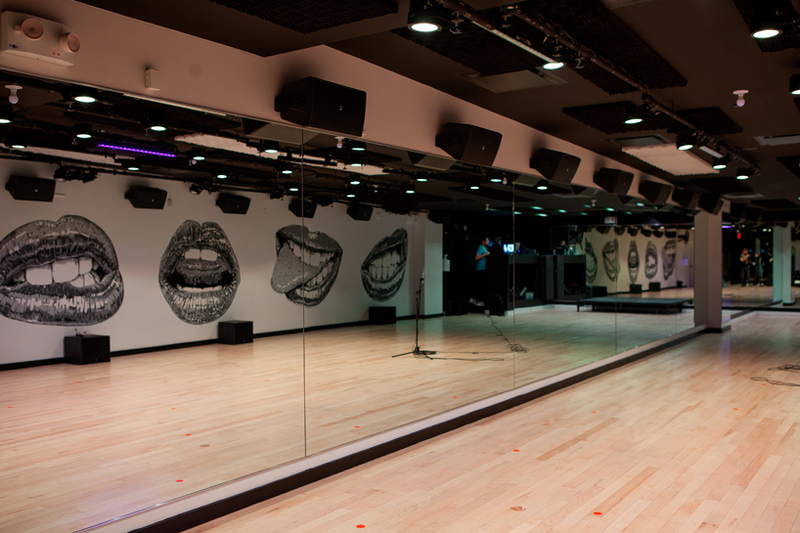 the space introduces a contemporary feel to the fierce dance class complete with a live DJ and rhythmic light show. 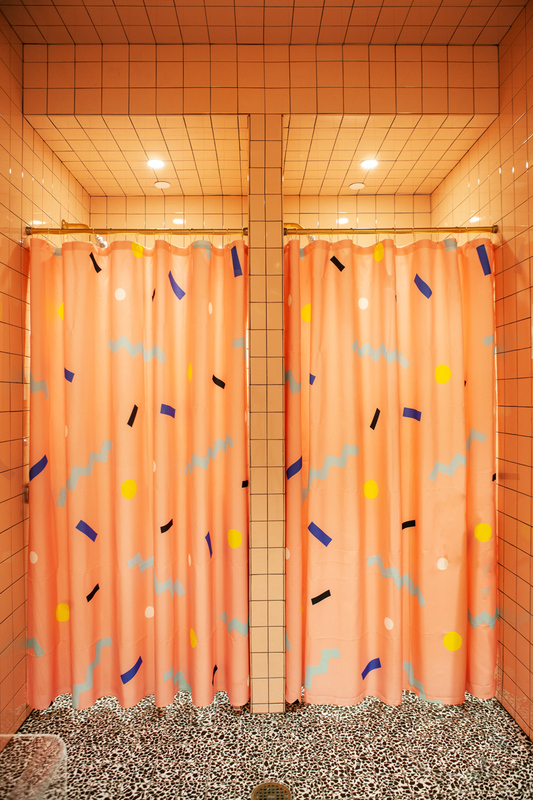 new and existing clients can now experience bikoff’s eccentric 1980’s miami nightclub design on new york’s upper east side. 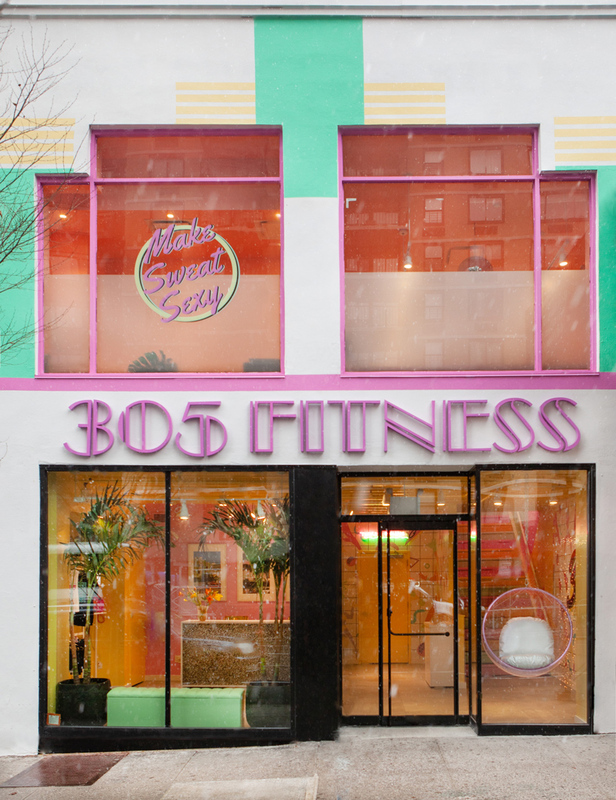 named for miami’s 305 area code, sasha bikoff integrates influences from miami’s ocean drive landmark buildings in the ((305)) fitness interior. the space is characterized by bold colors and vibrant patterns. a color palette of ‘mixed fruit,’ ‘tropical pool,’ and ‘good morning sunshine’ by benjamin moore are infused throughout the studio along with brightly colored tilework that extends to the ceiling. terrazzo tile flooring by artistic tile is used in the bathrooms and front desk. 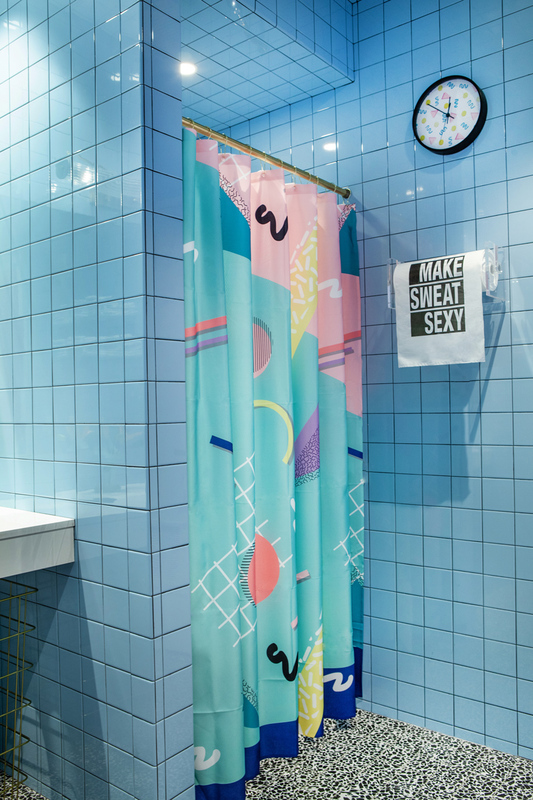 bikoff’s creativity is further showcased through her custom wallpapers, ‘memphis dancers’ and ‘stripes,’ designed specifically for the space. 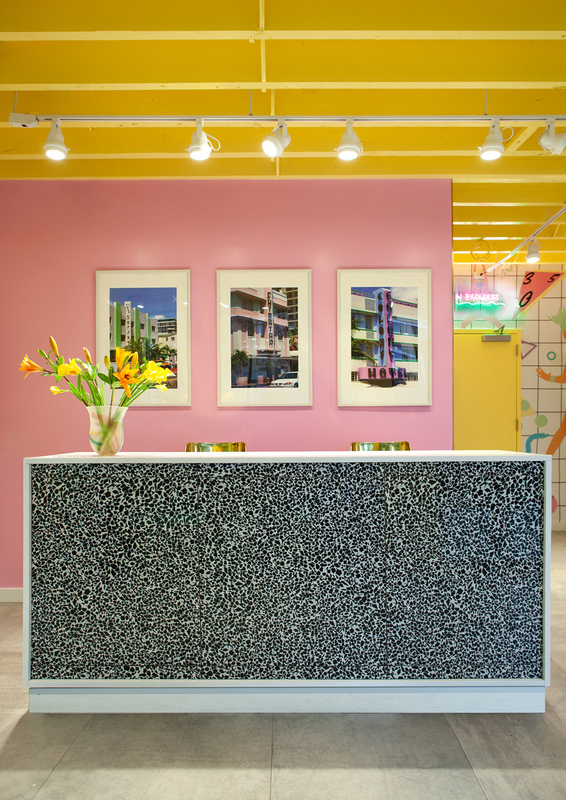 other custom elements include the 305 pink mirror by bride & wolfe, pink glitter patent leather banquette seating, a green leather bench near the front desk, and custom murano italy deco sconces designed by bikoff with sogni di cristallo. bikoff describes the stair as a ‘swirly’ contemporary design moment with an ‘acid trip nightclub aesthetic.’ a pink lounge on the second floor emanates an 80’s night club with a wrap around, ripple-tufted, pink glitter banquette and reflecting disco ball overhead. to the exterior, the facade is painted to mimic ocean drive’s historic art deco hotels. the designer notes the importance to not only curate the space as a vibrant statement on the street, but that it would also inspire and encourage people to work out more. the colorful design of the space is intended to make people feel as good as their workout makes them feel.